It’s been a busy time of year, so this blog is a little bit later than usual! Sometimes kids, work and home balance goes a little off kilter!! 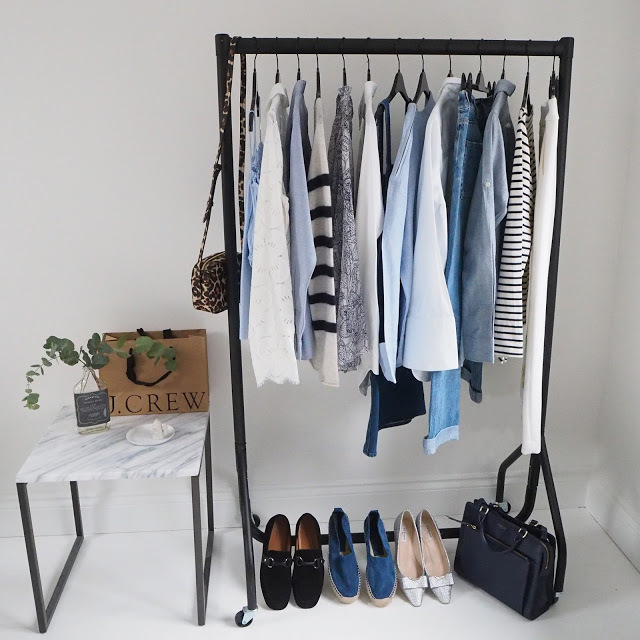 But with the season changing back to warm again this week, it’s time to sort out and edit your clothes for Spring, as I’ve helped a few people this week. 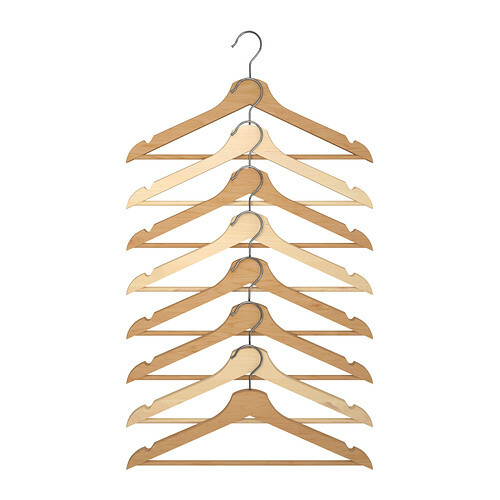 Alexandra Stedman of the blog The Frugality recently added her post for a wardrobe detox. Her style is uniquely simple and she offers those with a sparse wardrobe a minimal plan of attack. My own approach is less minimal but I do plan my clothes for seasons. Most importantly for me is to put winter layers away, so they don’t clutter the space I see every day and it’s also a nice surprise to see them again in the Autumn. 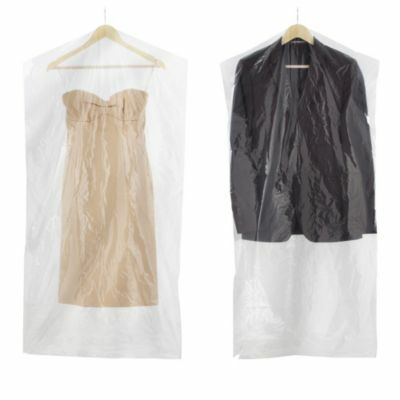 Hanging items in single bags makes it easier to find and keeps them crease free. Put away. Heavy tweed, velvets, dark prints are now packed away. I have a large rail in my attic for the change over or you may have space in a spare room. Try Argos heavy duty rail, £29.99 that won’t collapse once loaded. 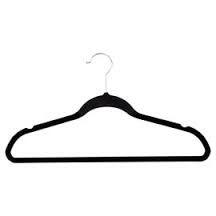 Slim hangers. 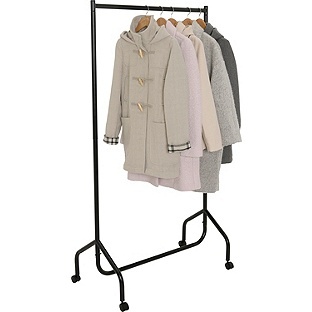 Buy narrow flocked (velvet-like) covered hangers that grip fabrics and only take up minimal space. Perfect for tops and folded trousers Try Tesco’s black ones, £10 for 20. Clip hangers. These are the best design for skirts, as they keep them hanging flat. 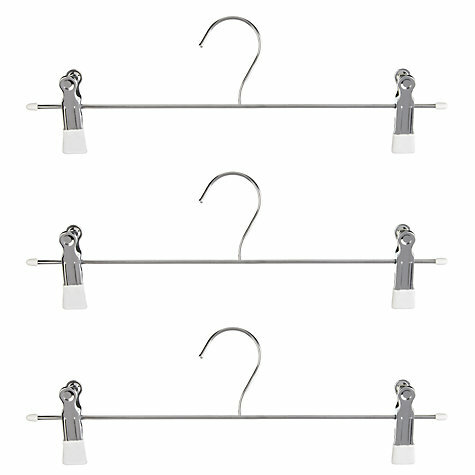 Try John Lewis set of 3 clips for £5. Clear away. This is a great time to decide what stays and what goes. Don’t put away dirty or damaged, clean and mend ready for next season. Try on. If it doesn’t fit think about other options. Sell, give away or get creative with a new identity. Love. Remember to love what you own. If it’s a, “it will do”, it probably has to go. “I am incredibly happy with my wardrobe now, Kirstie. It’s such a lovely feeling to know that literally everything in it now is wearable . . . I know how to wear all the pieces and what looks great together. Working with you has taken away the “stress of getting dressed.” I’m so glad that after doing an autumn/winter session, we came back together later for a spring/summer session. 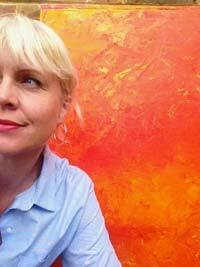 Thank you so much.” Angie Fresch, Career and Business Coach.